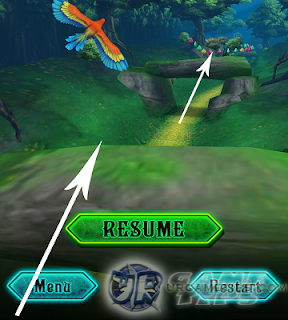 The guide below will cover some recommended controls to successfully dodge obstacles in the game Jungle Fly. Fly as long as you can and don't let the ferocious dragon catch you! 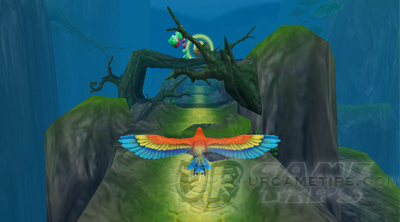 Most obstacles in the game can be dodged by flying above them, but some are so tricky that using one command is not enough. The distance between them is also a key to determine which path to take, refer below to learn more. - To fly higher or lower. - Used for getting Coins and dodging Obstacles. - To move to the right or left. 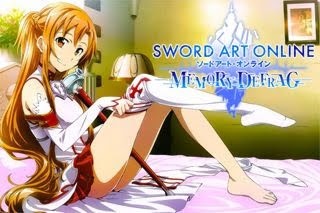 - This is only ideal if the obstacles are far apart to each other. because you'll definitely crash into the second obstacle (Has delays between commands!). - This is what you should do most of the time. smoothly dodge obstacles that are placed close to each other. The closer the obstacles are, the quicker you must pull these commands! obstacles doesn't have an available path underneath them, in other words, the only way it so go above them all! 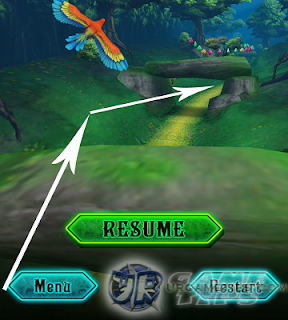 up to move the bird above the next obstacle. This will save you from a lot of crashes if you can pull this right! each other, but it is still possible though if you are quick enough. - Shield: Saves you from 1 crash for a certain amount of time!